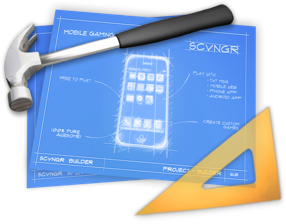 SCVNGR, the platform that lets you build location-based games compatible with any mobile phone, is on a roll. The company has just raised $4 million from Google Ventures, with participation from existing investor Highland Capital. Google Ventures’ Rich Miner will be taking a board seat. The news comes just over a week after we learned that SCVNGR is cash flow positive, with over $1 million in revenue in its first full year in business. While mobile location based games like Foursquare and Gowalla are getting a lot of attention right now, SCVNGR has quietly managed to establish a very nice niche market for itself. SCVNGR, which started in the DreamIt Ventures program back in 2008, makes a platform that allows companies, schools, and other organizations to build their own location-based scavenger hunts. Dozens of major universities have used the service at campus orientations, while major companies have used it for team building exercises. The platform has been used by over 400 clients including Princeton, Yale, MetLife, and HSBC, and has a whopping 91% client repeat rate. SCVNGR is also expanding very quickly. In the eleven days since we last wrote about them, they hired six new people. They are currently doubling the company’s size from 20 to 40 employees, filling roles in everything from mobile application development to sales. Oh, and there’s one other impressive thing about the startup: SCVNGR closed its funding round on CEO Seth Priebatsch’s twenty-first birthday.